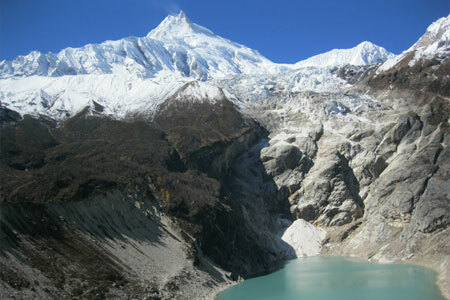 Manaslu, a name which means ‘intellect’ or ‘soul’ is located in the central north of Nepal. 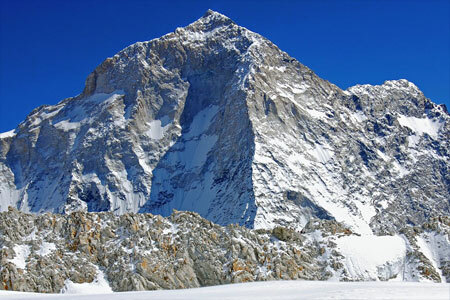 HW Tilman and Jimmy Roberts photographed the peak during a trek in 1950, but the first real survey of it was made by a Japanese expedition in 1952. 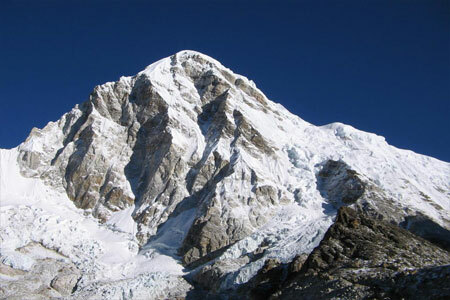 The Japanese also made the first serious attempt on the peak from the Budi Gandaki valley in 1953. 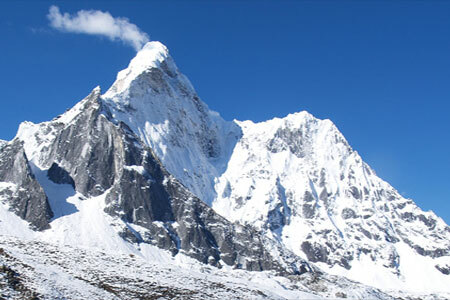 The Japanese came back in 1954, but the villagers of Samagaon told them that the first team had been responsible for an avalanche which destroyed a monastery and refused to let them approach the mountain. 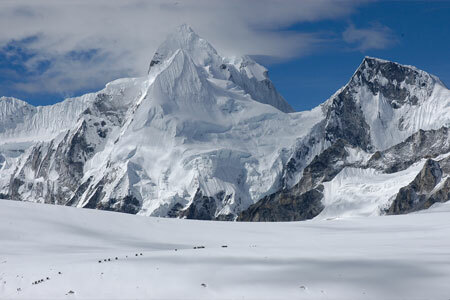 Finally in 1956 another Japanese expedition succeeded in reaching the summit. 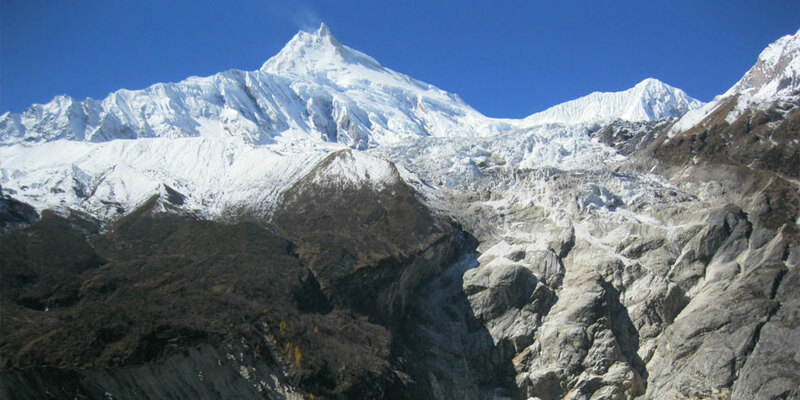 Because of these attempts Manaslu has always been known as a ‘Japanese mountain’ and Japanese mountaineers have made other, difficult, routes to the top. 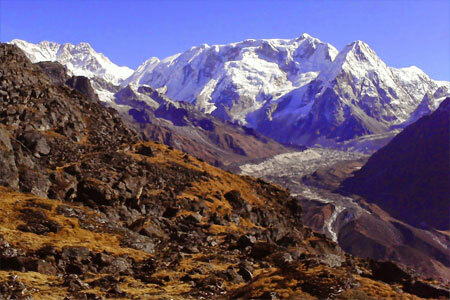 Day 10: Trek to Sama Goan (3390m). Day 11: Sama Goan rest for Acclimatization. Day 12: Sama Gaon to Base Camp (4200m). Day 13: Settle Manaslu base camp. Day 14: 44Climbing period Manaslu. Day 45: Cleaning up base camp. Day 46:Sama Gaon. Overnight in camp. Day 47: Namrong. Overnight in Camp. Day 48: Jagat. Overnight in camp. Day 49: Machakhola. Overnight in camp. Day 51: Gorkha. Overnight in camp. Day 52: Drive back to Kathmandu overnight in Hotel. Day 53: Rest/free day in Kathmandu and farewell Diner. Day 54: Transfer to International Airport and fly home.